[Complete Tutorial] Steps to Repair Werfault.exe Error in Windows 10, 8, 8.1,7! Is your system throwing a WerMgr.exe or WerFault.exe Error while using Windows 10 or 8.1, 8 and 7 system? Are you unable to operate your computer or laptop properly due to the WerMgr.exe or WerFault.exe Error? If your answer is YES then don’t worry as you can easily fix this issue without calling any professional or paying a single penny. WerFault.exe or WerMgr.exe Application Error is a very irritating error that appears every time when user tries to execute any installed applications or services. WerFault.exe is actually a necessary process responsible for the Windows Error Reporting service in Microsoft Windows. 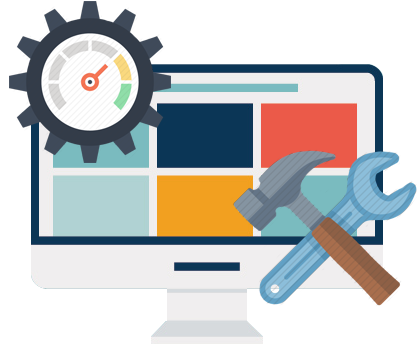 This system service is responsible to throw updates and notifications to the users related to the application faults, kernel faults, unresponsive applications, and other issues related to other Windows apps. The process can also provide users with troubleshooting features and information. Windows Error Reporting System is basically a service which will get and send the logs of Error happening in the Windows Systems to the Microsoft. WerFault.exe and WerMgr.exe file is located in the system32 folder in windows system and is used for windows error reporting. The main reason behind this error message is the corruption of WerFault.exe or WerMgr.exe file. Computer Virus can affect the WerMgr.exe and WerFault.exe file. After upgrading the system, these files get replaced with another system files. Improper installation and un-installation of any app. This type of error can slow down your Windows system and may also generate many other types of error if not solved soon. You can check this through the Task Manager of your Computer, task manager will show that the CPU utilization is near about 100% constantly, and when you click on the Processes tab then you will see that more than one occurrence of Werfault.exe that are using all the CPU memory. Now coming to the point, let’s start fixing WerMgr.exe and WerFault.exe error message. Follow the below-given solutions one by one and check for the issue after applying each of the solutions. 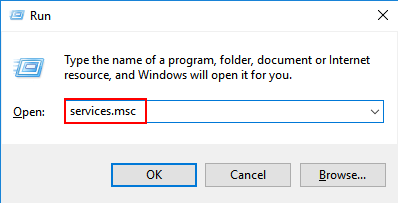 Step 1: Go to the Windows Search option and search for the windows memory diagnostic tool, from the search result select windows memory diagnostic tool. 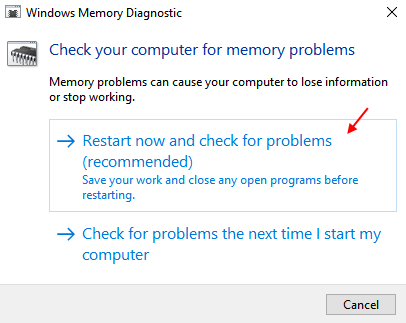 Step 2: You will see that the windows memory diagnostic tool is running. Step 3: After the completion of the diagnosis process, reboot your system. 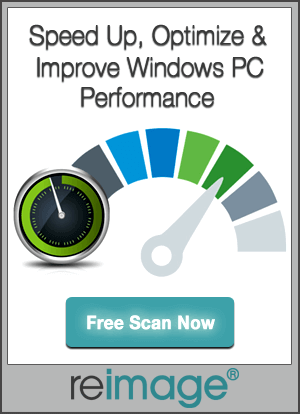 This diagnostic tool will help you to fix all the memory related issues automatically. 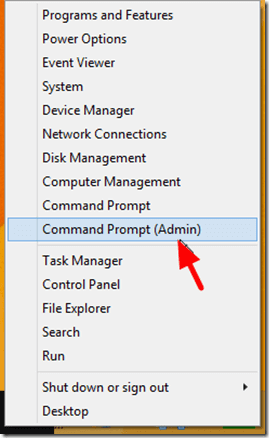 Step 2: After opening the command prompt, type sfc /scannow over the command prompt and press the Enter key. The sfc /scannow command will run a full system scan to verify all the protected system files. If any corrupted or damaged system file found then it replaces the damaged files with a cached version stored in windows dllcache folder. After the completion of Scanning process, restart your computer and check for the issue. Step 1: Open the run dialogue box by pressing the Windows + R keys from your keyboard. Step 2: In the run box, type devmgmt.msc and press the Enter key. Step 3: This will open up the device manager then click on the Display adaptors to expand it. 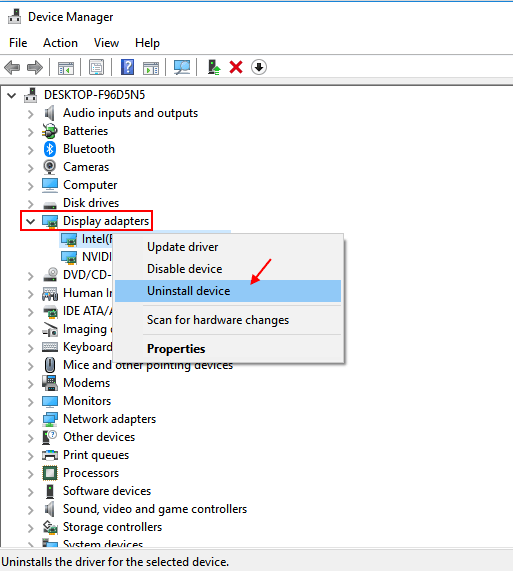 Step 4: Now, you have to uninstall the drivers. After it, click on the Action tab and then click on Scan for hardware changes. 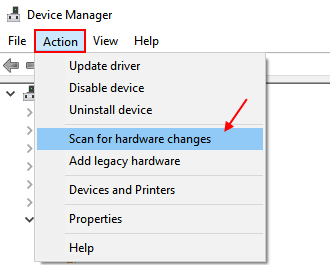 After clicking on the scan for hardware changes option, the Device Manager will scan and install the updated missing hardware drivers automatically. Also Read: [Solved] How to Fix Windows 10 Update Error 0x8024200B? If you are still unable to fix the WerMgr.exe and WerFault.exe error then this method will surely help you to help you to fix this error with ease. Step 2: On the run box, type services.msc in the run command box and press the Enter key. This will open up the Service Manager. 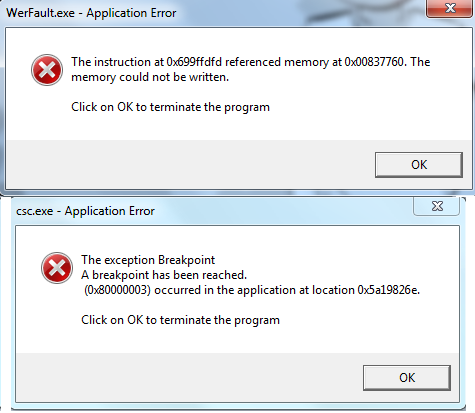 Step 3: After it, you have to find out the windows error reporting service from the list and double-click on it. Step 4: Select the startup type as disabled. Step 5: Now, click on apply. At last, press OK and restart your System/Laptop. 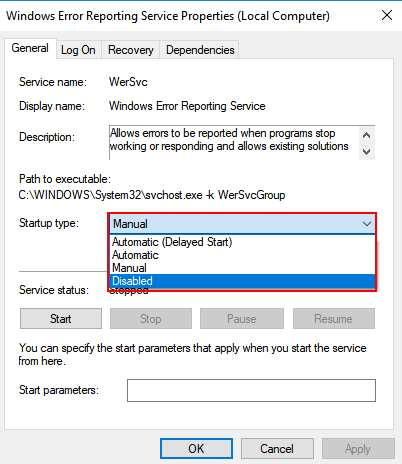 Step 1: Click on the Start button-> Control Panel-> Windows Error Reporting->Click on System and Maintenance, then click Problem Reports and Solutions. Step 3: Choose an option to set how you want Windows to appear for a solution to your issues. You may either set it for automatic or ask to you every time. Step 5: Choose Off to turn off Error Reporting. All the above-given methods are very effective and easy to apply, so it is hoped that after applying these methods now your system become free from the WerMgr.exe and WerFault.exe error. Now, according to professionals, if you want an error-free and fast computer/laptop then you have to maintain the system file and other related components of your system. This task is impossible without a professional tool, manually methods are really difficult and some of them are also dangerous for your system. So it is suggested by the computer professional to apply professionally programmed PC Error Repair tool to maintain your Windows system without the need to call any computer expert. This application is very easy to use and effective also.